Well, we would all be very rich if we could predict where interest rates will go. They have been kept low for the past 4 years as a result of the depressed economy in the US and around the world. Recently several countries are beginning to raise rates slightly and the Canadian and US Governments have indicated that interest rates will likely begin to rise in late 2011 or early 2012. Still it is a guess regarding what will happen. Most people think that rates will be going up, however very few think they will increase substantially. Still if your rates went up by 3 or 4 %, it could make a significant difference to your monthly payments. Can you afford the change and can you sleep at night or will you worry about the increasing rates? If you are the type that worries about finances, then going to an adjustable rate mortgage might not be the best solution for you even if you must pay a slightly higher rate by going with a fixed mortgage interest rate. Knowing that your monthly payment will not change can be comforting to many people. It is basically a gamble as to whether the rates will still the same or not. This is really what you need to evaluate. If you are renewing for 5 years and you are saving 1% on an adjustable rate mortgage, would you be further ahead or not. If the rates went up by 2% halfway through the life of the mortgage term would this matter to you? Ask your lender to do some calculations for you with various scenarios . Evaluate your risk / tolerance level for an adjustable rate mortgage changes. If you have a question, leave us a comment with as much detail as you can. We will try to answer your question in our next post. Alternative check out the various categories on the right side for any posts covering your area. For more information about new mortgages, click here. 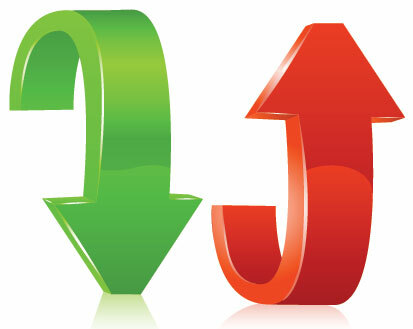 we do not like adjustable rate mortgages, when the interest rate does change, it is usually not for the good. right now with rates so low, they can only go up so why would you want an adjustable rate mortgage right now.